November | 2013 | Where in the World Are Our Kids? When I was growing up, I always knew that God wanted me to save room in my home for children who did not otherwise have one. With so many children in the world without homes, options were plenty, and still are. Domestic adoption of minorities, international adoption, and foster care all have tremendous needs. I realize not everyone is directed by God to bring an orphan into their home, but I do believe we are all called to do something for the cause of the orphan. “Satan hates adoption,” was one of the first phrases I became familiar with when we first began our adoption journey. It was difficult. It always has been, and continues to be. The adoption community is full of difficult stories — almost no one is immune. Fraud, scandal, kidnappings, corruption, apathy, bribery, and abuse are common topics discussed behind the curtains of the adoption community. Most of us fear sharing the reality of adoption because we do not want to scare others away, realizing that many of us likely would not have chosen such a difficult road had we knew what it would be like. So we hide in Facebook groups, online forums, and private messages to support one another through difficult times, and celebrate the victories along the way. But not a one of us regrets the journey, because these are our children. What cost is too great to save the life of a child? Would not any parent face any dangers necessary to save the life that God had chosen for them? Caring for orphans is dangerous work. Satan does not meddle with initiatives that do not storm the gates of hell. But adoption certainly does. Adoptive parents are some of the toughest, and most tender people you will ever meet. And they need prayers, support, and encouragement, even if they won’t allow you to know what’s really going on. Sometimes it’s just to hard to put into words. To give you a glimpse of what is public, there has been a development in Congo adoptions: exit letters are suspended for up to 12 months. I have friends who have legally been parents of children in the Congo for nearly a year, who have yet to get permission to bring home their child. First, there was a new 6 month investigation phase initiated earlier in the year, and just when they thought they had cleared that hurdle, exit permits were suspended. That means that even if adoptive parents even have the permission of the United States to bring their children home, but the DRC will not let the children leave. To make matters worse, dysentery has swept through one of the orphanages associated with American adoptions, killing 33 of 52 children, while the government works out new processes for adoption. The heartache is palpable. The needs are so urgent. Hope is hard these days. And yet these families continue to pray, plead, and fight and raise money to bring their children home. Because that’s what is what they are called to do. They are not giving up on their children. Because God never gave up on any of us. Not everyone is called to adopt. But we are all called to do something. I’d ask you to consider being a tangible encouragement to a DRC adoptive family today. I’ve collected links to those who are fundraising to bring their children home from the Congo. 1. Look through the links and make at least ONE purchase to make a difference in the life of a child this Orphan Sunday. There are some wonderful, creative, and beautiful things for sale, and would make terrific Christmas gifts. Would you consider making all of your Christmas purchases ones that will make Kingdom impact? 2. Comment on their blogs or pages with a word of encouragement. 3. Pray for their families. Their WHOLE families, including their precious children stuck on the other side of the world. Pray for stamina for the parents. Pray for health, nutrition, and emotional and spiritual protection for their children. And pray that they are united soon. 4. Post this blog on your Facebook wall. Encourage others to do the same. This store has absolutely adorable merchandise. I am in love with this rosette necklace, and they have beautiful burlap and chevron items that will add style to your home and self. If you haven’t had Just Love Coffee, you are just missing out! As a former barista, I know good coffee, and this is it! We used to fundraise through Just Love Coffee, and now we are subscribers in order to pass along blessings to current adoptive families. My favorite is African Skies. Here is a fundraiser that includes a drawing for some great prizes that would make great gifts for yourself or someone else. Each ticket is only $10! This fundraiser makes me wish I was closer to Oklahoma! If you are in the area, you are in luck! I’m hoping leftover items will be posted for sale! 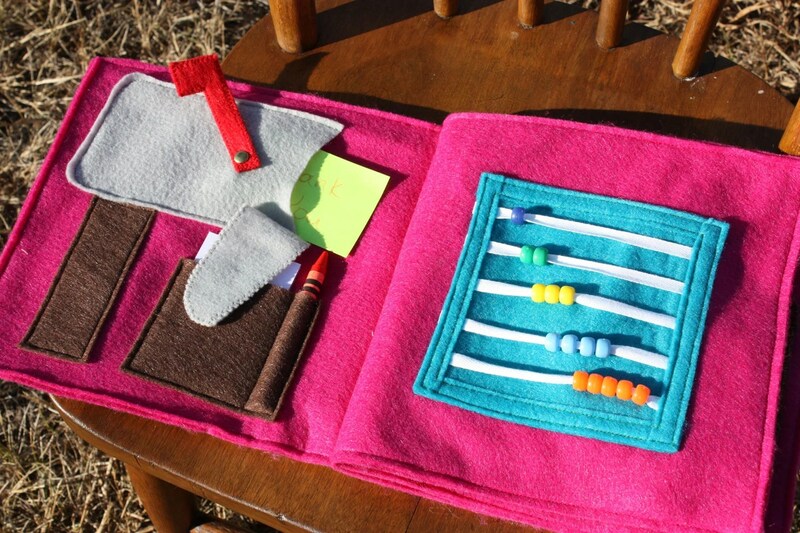 This Etsy shop features some very cute felt toys for kids, shirts, and custom-made “hair pretties.” I think Addie would love the Busy Book, and it would help her develop her fine motor skills! Oh my sweetness, this Etsy Shop has so much hand-sewn love in fabric form. If you’ve ever searched for the perfect black baby doll, look no further. 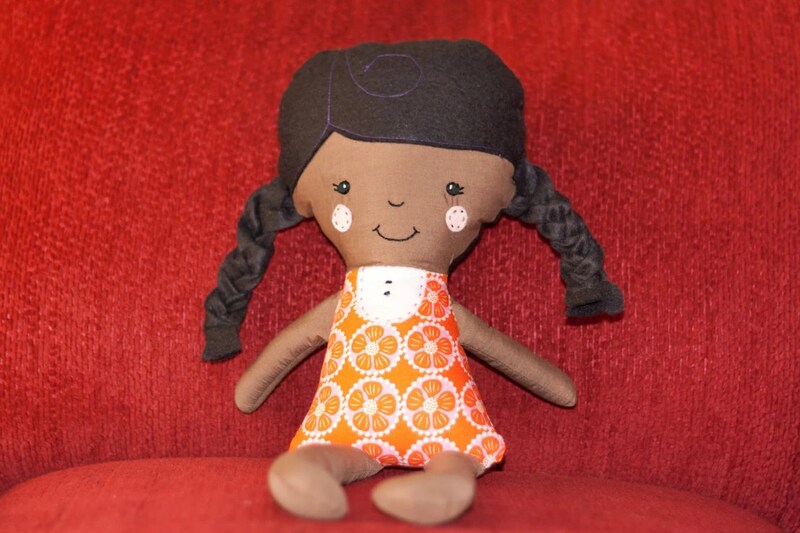 Even if you have Caucasian kids, I know they would love to have a chocolate brown baby doll like this one. And a vanilla one to match! This shop features adorable hair accessories for girls, including clips, headbands, and barrettes, and even cutesy legwarmers. Don’t you think Addie and I need matching hair clips? I love these customized items! Celebrate fall, Christmas, sports, kids, in these many different items that would add a personal touch for someone special. Check out the page for more options! If you’re not within a tornado siren of Franklin, you’d still love their other items, including chevron scarves, owl hats, and custom-made shirts for Christmas. 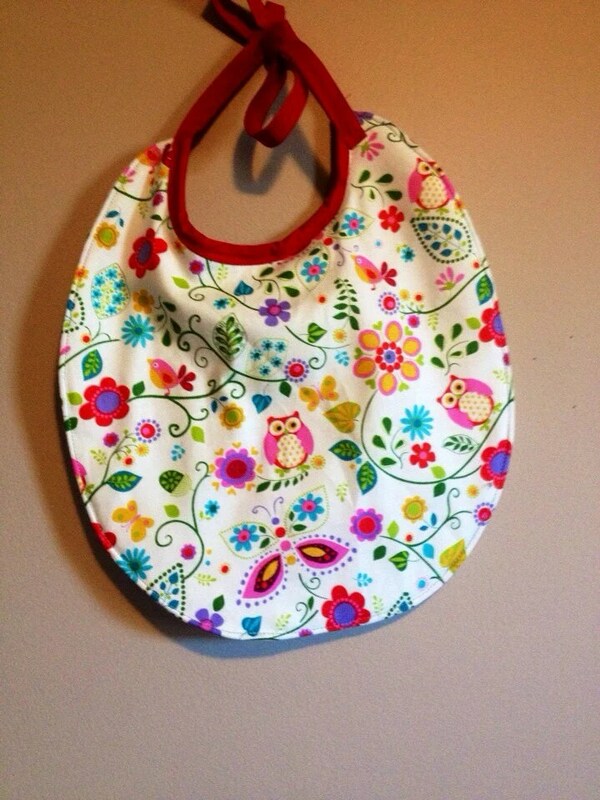 Looking for a perfect baby gift that was made with love rather than by a robot? Check out this sweet Etsy Shop that features baby bibs and bows to suit all tastes. This one is my favorite! I hope you all remember this painting from Worth the Wait Creations. The artist took time to get to know our family before putting together this perfect representation of who we are as a new family. Ken said it is his favorite gift ever, and it hangs in our living room. Why would you buy someone a sweater or tie, when you could give something this significant, while making a difference in the life of a Congolese child? The paintings make great wedding and baby gifts as well. 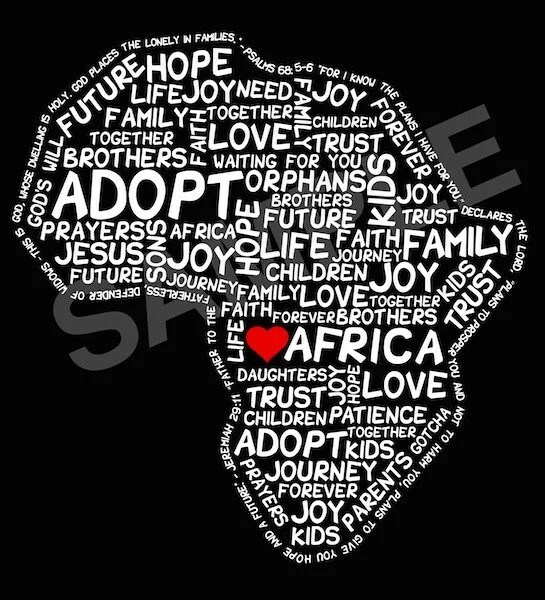 If you want to sport your support of Congolese adoptions, check out this great shirt, featured on Etsy. Lots of sizes are available! Another awesome t-shirt design is featured here! I’m totally digging the pink shirt! If you’ve ever been to Africa, chances are that it will always be a part of your heart. 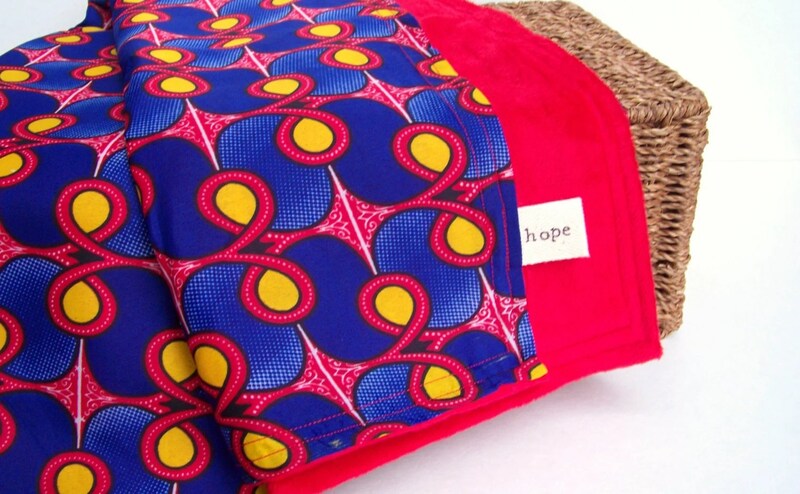 These canvases feature variety of bold and subtle prints that help keep Africa in your heart. There are many more designs to choose from! These are incredible original stained wood art pieces. Aren’t they beautiful? I look forward to seeing more offerings from them, as they are all stunning! Check out their site for up-close views. 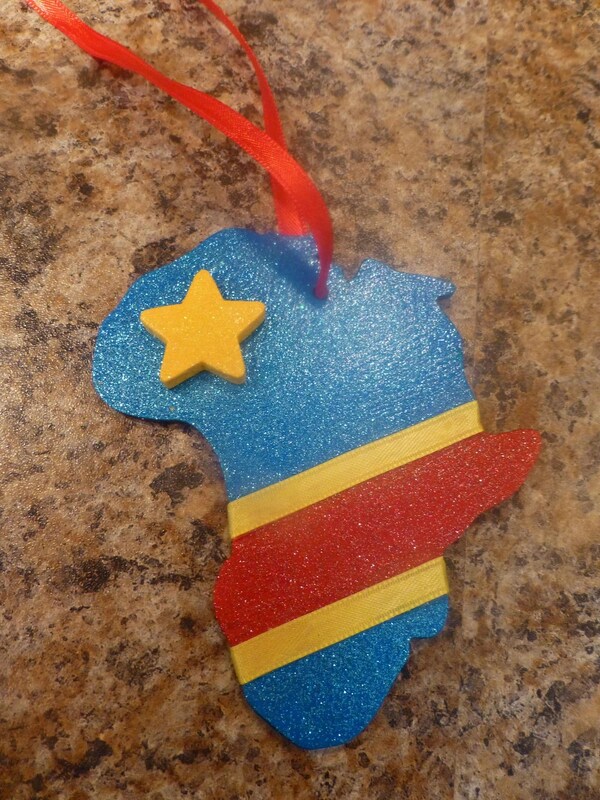 This Etsy Shop features many different Congolese ornaments and Ugandan bead bracelets. I especially love this!! This family is having a super fun giveaway! There are four different packages to enter for, but this one is my favorite. It has ME written all over it! Entries are only $5, plus there are many more ways to enter! Yikes this is awesome! Here is another unique adoption t-shirt, as well as another opportunity to purchase Just Love Coffee! This shop just opened and items are selling like lightening! Featuring African-themed items, there’s a little bit of something for everyone with a heart for Congo. I love these! Every child needs to be taught about families who are built through adoption. This is a book that does just that! 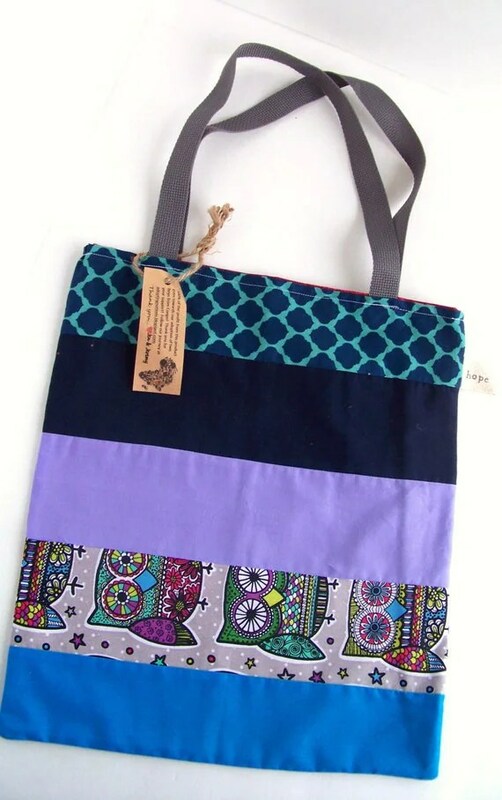 This Etsy Shop specializes in linens and totes that are trendy and even African-themed. I adore this bag and this blanket! This family is selling high-quality sheets (among other things) to support their adoption. Who wouldn’t love a new set of comfy sheets? 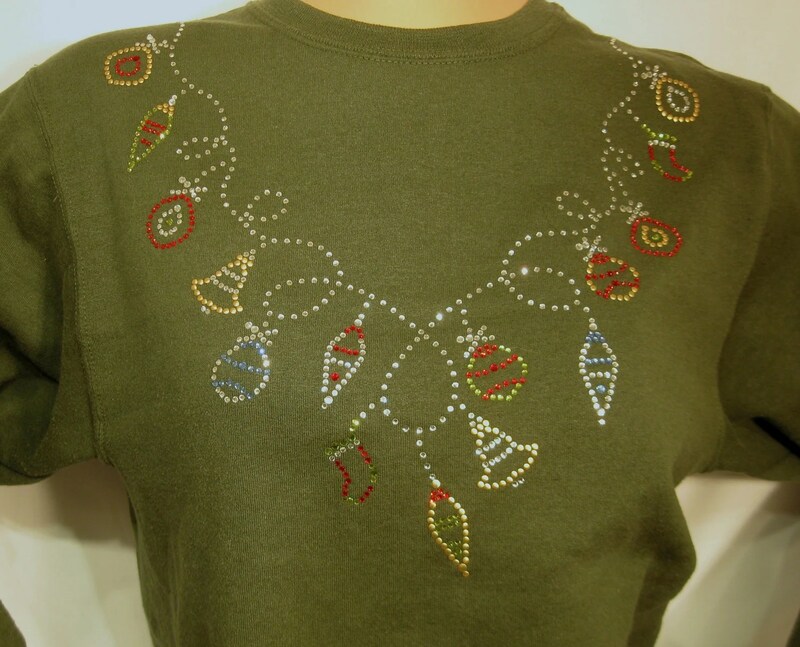 This Etsy shop features beautiful embellished t-shirts. I love this one for Christmas! I would LOVE to get a locket like this for Christmas. Hint, hint, Ken, ahem. They are so personalized and fun, it would be a great gift for any mom! Create one of your own for yourself or someone special in your life! This family is featuring an auction that starts this week, and features items that would make great Christmas gifts! They’ve already announced that there will be a diamond necklace, noonday earrings, and doTERRA items. I’ll definitely be checking back on this one! As you start building your Christmas list, why not buy items that will mean so much to the recipient and to the seller? Each purchase from the above list will encourage, strengthen, and support those in the DRC adoption process. And the recipient will love the hand-touched meaning behind each gift. It’s a win-win. Not all of us are called to adopt, but we are all called to do something for the sake of the orphans in the world. Here’s my challenge. 1. Buy at least one item. 2. Comment on at least one page. 3. Pray for at least one family. And I’d love to hear what you bought! Come back and share how you are making a difference in the life of an adoptive family!